I went turkey hunting during our recent winter season here in Maryland. It was last Thursday, Friday and Saturday. The weather was decent so I decided to give it a try. 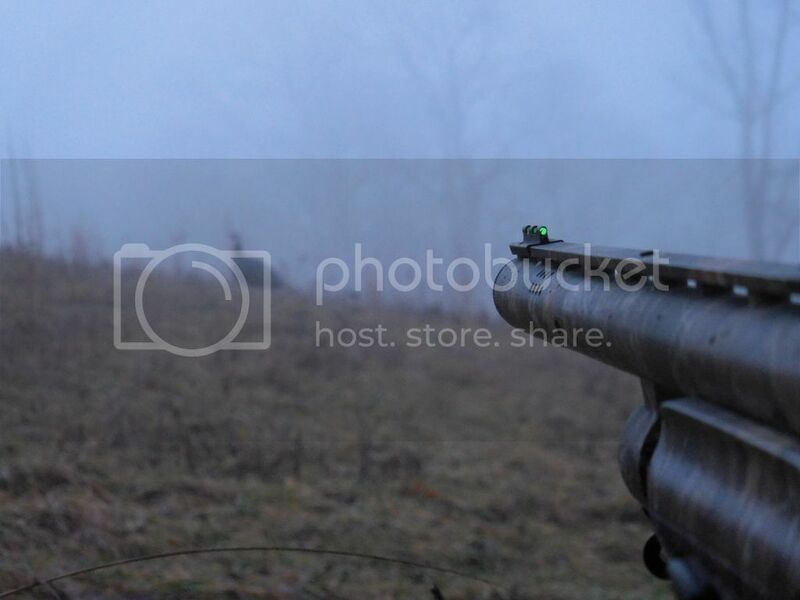 I took these pictures while sitting in my blind. The questions is, is that a turkey or a decoy? Your thoughts? One was taken Thursday during some dense fog and the other on Saturday. Both were taken with an inexpensive Nikon pocket camera. Got to be a decoy, it ain't running!! Can't tell. Either way Iove these pictures. 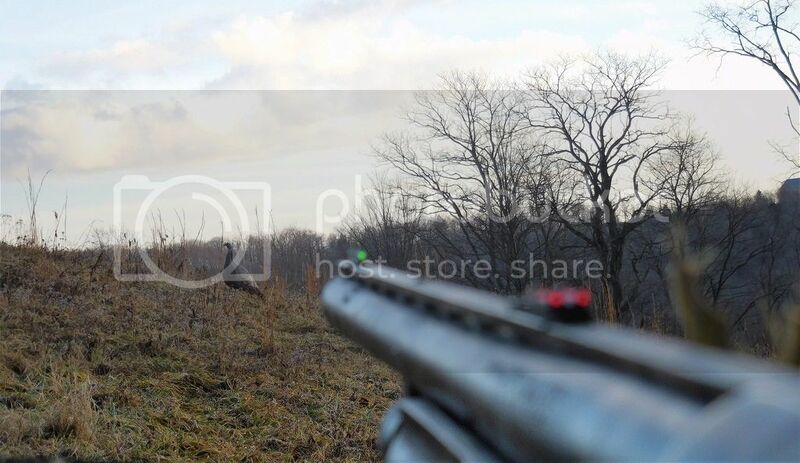 Love the pictures, gives me the itch to go hunt. I vote decoy. I'm with Gutshot , decoy . Gutshot, I was thinking exactly that after I posted the pictures! Yes, there would already be a story and picture and yes, it is a decoy! Hunters Specialties Suzie Snood!